I have had a long absence from both reading and writing poetry. It is hard to identify when or why it began but it has been a chunk of my life rather than a couple of years out. The why, I suspect, does not reflect me in a pleasant light and probably has something to do with me turning into some sort of snob. Lately I have started to creep back, though, gently prodded by other bloggers who are unashamed to post poetry of their own and of other people (namely Barbara Lane and Robert Rife) and by others who advocate enthusiastically for poetry (Xe Sands and Marly Youmans). So I have been listening and reading again, and writing a tiny bit. When I was younger and more prolific in the poetry department, it was one of the main ways I made sense of the world around me because it enables us to capture and hold something in a cage of words without destroying it, defining it or curtailing its mystery. The kind of poetry that I really connect with is the stuff that brings elusive, ephemeral, intimated truths into focus and holds them for a moment, leaving the afterglow of an impression rather than the proof of a fact. Some things in life are like that – they will never stay still long enough for us to get them under a microscope, but that doesn’t make them any less real. What has changed for six years? If you are in the mood for more poetry then I recommend you check out Barbara Lane’s Blog, “this | liminality”, where she is posting some of her dad’s poetry. … and there’s more of my stuff here. I recently unearthed, from the deep litter of several years of paper, a folder of poetry that I wrote between 1994 and 2001 when writing poems was one of the few ways I could make sense of life. I have always written not only for personal pleasure but from a desire to connect with other people. So many poets and authors have helped me to feel less alone that I have long kept in mind the conceit that what I write might help someone else to feel less alone. So I’m letting a few of these poems see the light of day again like messages in a bottle brought in on a fifteen-year-long tide. I did, in fact, return – seven months later – with a few more notches on the staff and a little more wisdom in the eyes, and the place looked different; but I still have a few unfinished (musical) scores and balancing inspiration with expectation is an everyday battle. I can look back to a time when writing poetry was one of the main ways that I had for making sense of the world around me. The creative output from this time in my life actually staggers me – although sometimes I cringe at the quality – I was certainly prolific. I thought I’d share a few poems over the next few weeks, verses that would not otherwise see the light of day; but I’ll start with one of the few that ever got published. 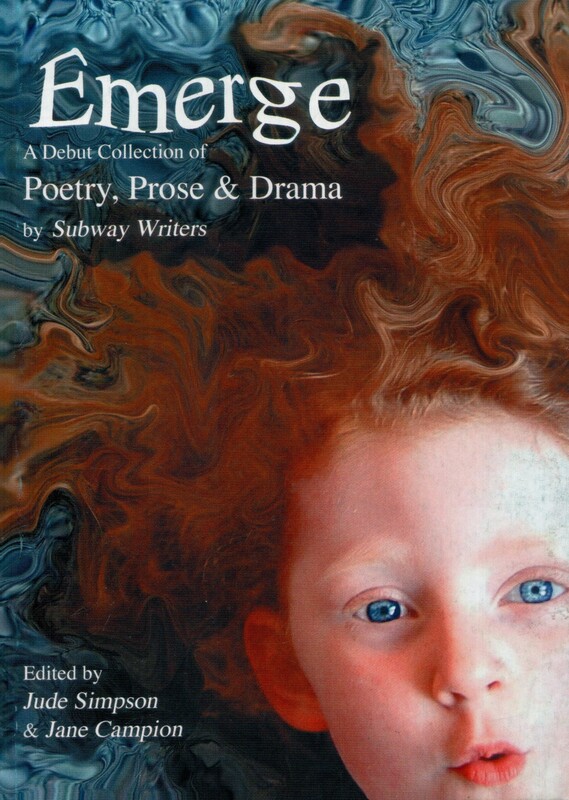 This appeared in Emerge, an anthology of poetry, prose and drama, edited by Jude Simpson and Jane Campion and showcasing the work of the Subway Writers group.